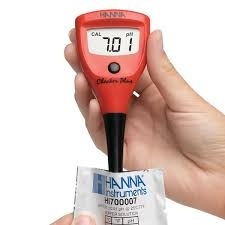 The HI-98100 Checker Plus provides users with fast and accurate readings from 0 to 14 pH with a resolution of 0.01 pH. 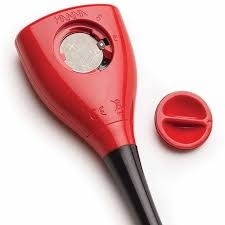 The Checker Plus features and easy to read LCD and two-point calibration with automatic buffer recognition.<br> <br> The HI-1271 pH electrode can be easily replaced. You only need to unscrew the electrode from the meter body and screw on a new one.<br> <br> HI-98100 is fast, accurate and lightweight. With 1000 hours of battery life, there is no need to worry about frequent battery replacement. The HI-98100 Checker Plus provides users with fast and accurate readings from 0 to 14 pH with a resolution of 0.01 pH. The Checker Plus features and easy to read LCD and two-point calibration with automatic buffer recognition. The HI-1271 pH electrode can be easily replaced. You only need to unscrew the electrode from the meter body and screw on a new one. HI-98100 is fast, accurate and lightweight. With 1000 hours of battery life, there is no need to worry about frequent battery replacement.